For some reason sequels are always wear the risk of being worse than their prodecessors. Some fail the test, whie others pass it with excellence. Golden Trails 2: The Lost Legacy is one of the lucky ones that only become better with every release. That journey will take you to Europe, America and many other places. This time around you are going to deal with pirates. Here's the deal. Captain Morgan throws your grandfather in jail claiming that he is the famous Pirate Kidd. There is a condition on which your grandfather can be free. You have to track down the logbook from his ship. This book gives access to more than the freedom to your grandfather. It also shows the way to the location of the secret treasure. That journey will take you to Europe, America and many other places. You will have to explore many of those locations to find all kinds of objects. 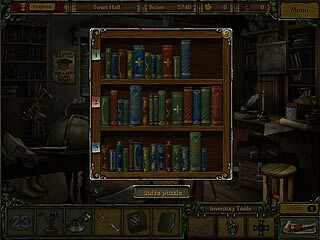 Some of them are plain hidden object search items. Others are the ones that go to your inventory. Then there are those items that take some more effort to be found. There are also lucky clovers to be collected all through the game. Having collected 150 clovers you can unlock a special task after the game. Something else that you are going to be busy with is the mini-games. All of those are skippable, but most of them fin into the story perfectly. The game's presentation is very polished and enjoyable. All of the locations are absolutely different with many details. You can tell that the artists did a very good job drawing all of them. 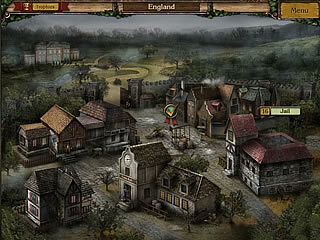 The game is a pure fun for the fans of the genre. I'm looking to buy a new mp3 plyaer and want a mp3 plyaer that has great sound quality. To me that is the most important thing for a portal music plyaer to do. Don't care about stupid stuff like apps because I have a $2500 computer to do that. I do like a lot of battery life and support for many types of music files. I prefer drag-n-drop over using software to put stuff on it. So anyone have any suggestions? This is Golden Trails 2: The Lost Legacy review. Download this game here.